In the past week we’ve launched two tools with the courts and tribunals service. 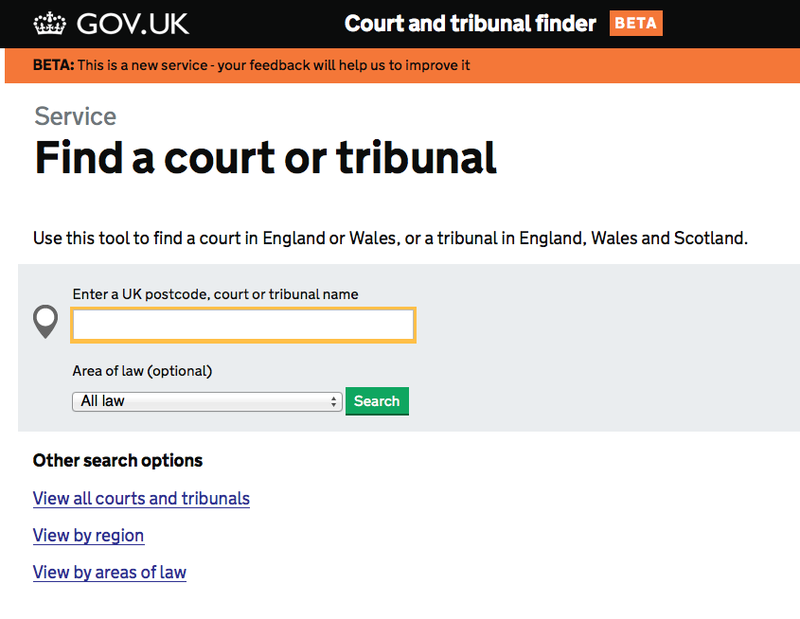 The first was a new and improved version of the court and tribunal finder, containing contact details and info about courts and tribunals. A new tribunal decisions database went live at the same time. 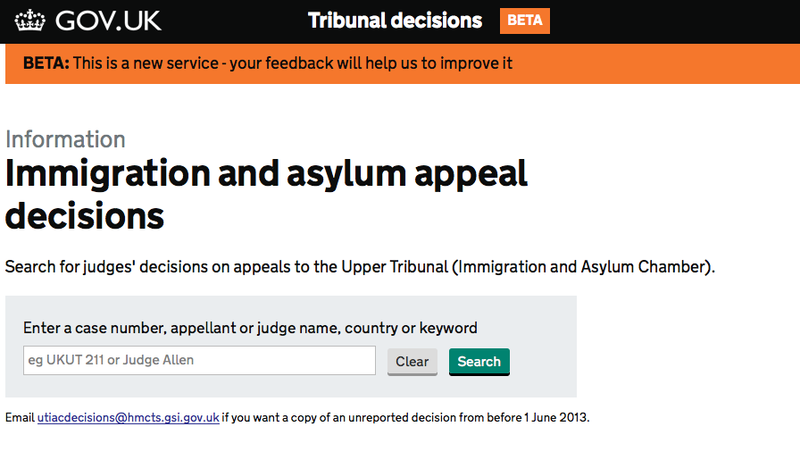 This lets you quickly search for all the important test cases in immigration and asylum appeals. Both are major improvements on what went before, and are much easier to search and use. Watch this space for separate blogs on the new services. We’re now moving on to improve similar tools, including decisions databases for the other tribunals and new versions of court and tribunal form finder and prison finder. All of these tools will follow open data standards so others can reuse the data (see Max’s blog post for more on this). Matthew, Kellie, Chris and Tom have produced early working prototypes for a new property repossession tool (to replace Possession Claim Online). This is part of a wider project to digitalise civil claims. Jan has been looking at how we can use APIs for prison visits booking, and Lisa is discussing what’s next for online employment tribunal claims, following the launch of the beta (test) service last month. Mat has been working on making lasting power of attorney forms more accessible – and will blog about this over the next few weeks. As ever, we’d love to know what you think about these services, especially if you’re a regular user of our sites. Enter your location - you could change the Google Maps URL from .com to .co.uk so Google auto recognises partial UK postcodes/UK streets otherwise a lookup for "kt6" will drop a pin in Russia. Also, you could change the daddr var value from the lat,long to court PostCode for a little more clarity for the user. At the moment the route planner (A and B fields) have what appears to be unrecognisable numbers in it. Thanks Luke - both excellent points, which we'll use to improve the map location results in the court finder and the route planner.